Obsessive-compulsive disorder (OCD) is a relatively common psychological problem. The symptoms - which can be seriously disabling in extreme cases - can include excessive hand-washing or other cleaning rituals, repeated checking, extreme slowness and unwanted, repugnant intrusive thoughts. This book covers the nature, symptoms, causes and theories of OCD. It discusses the treatments that are available and provides valuable practical advice to those who may need help. Numerous case histories are given throughout the book, highlighting various aspects of the disorder and its treatment. There are in-depth sections on scrupulosity, culture and OCD, mental pollution, OCD in children and on the similarities and differences between childhood OCD and autistic disorder. This fourth edition has been updated with succinct explanations of recent research, information on treatment advances and the recent expansion of treatment services for anxiety disorders, including OCD, in the NHS. 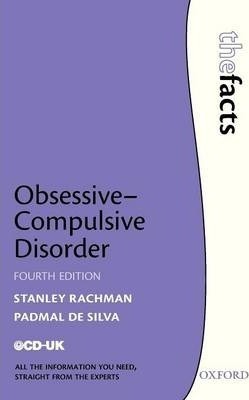 In this updated fourth edition, Stanley Rachman gives a clear account of the nature of obsessive-compulsive problems which will prove useful for sufferers and their families, as well as general readers interested in finding out about the disorder.